Large fast food restaurant chains are introducing new high quality French fries that have been specifically developed to maintain their crispness over a prolonged period of time. Heat and Control is committed to this emerging industry trend. This latest development in the frozen French fry industry utilises starch-based coatings that are nearly invisible to the naked eye on finished product. This is a clear departure from other types of batter coatings that have provided a distinctive flavour and outward appearance after frying. The current industry trend toward clear-coated product appears to be gaining momentum as processors increase their manufacturing capacities for this process. 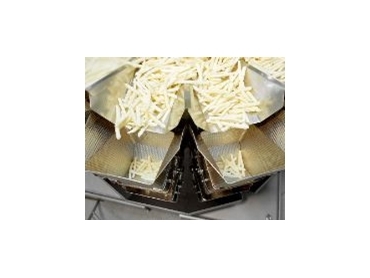 High capacity process machinery for batter-coated French fries originated with a partnering between a potato processor in the Northwest, USA and Heat and Control. Working with existing product, Heat and Control utilised its 30 plus years of experience in batter application to develop an effective and efficient battered potato frying system. Since its original design, many enhancements to the equipment have been implemented to compliment changes being made by the dry batter manufacturers. The new market continues to adjust to a variety of finished product flavors and textures, including the new clear batters.